Located approximately 275km west of Melbourne, the Twelve Apostles are a group of limestone stacks off Port Campbell National Park. 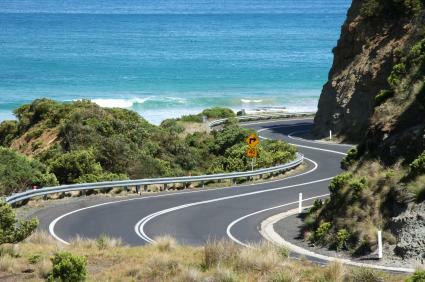 Situated approximately four hours' drive along Victoria's Great Ocean Road, their close proximity to each other have made these naturally occurring wonders a popular tourist attraction. These amazing rock stacks offer a dramatic picture along the rugged coastline of Victoria and rise up out of the Southern Ocean to create a majestic splendour that has to be seen to be believed. 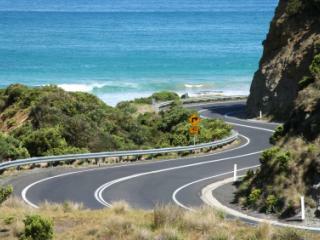 Part of the major attraction of the Great Ocean Road, the Twelve Apostles are a must see attraction on any visit to Victoria. Some of the stacks left behind are up to 45m high and were originally known as the Sow and Piglets, with Muttonbird Island forming the 'sow' and the rock stacks forming the 'piglets', however was later renamed for tourism purposes to The Apostles. 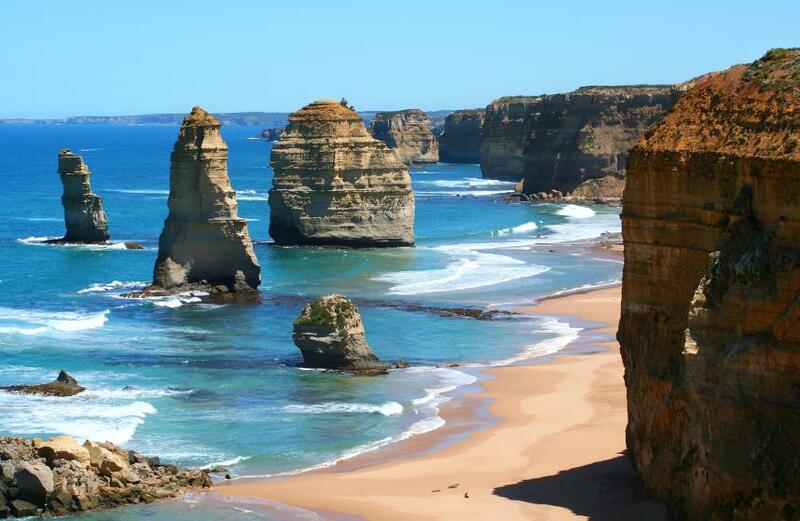 Despite only nine stacks ever existing, the stacks eventually became known as the Twelve Apostles. 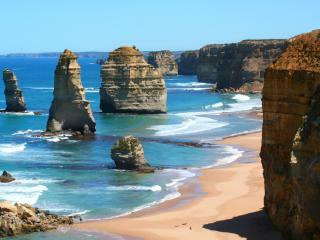 However, the constant battering of wind and waves means the Twelve Apostles are still susceptible to further erosion. In fact, in July of 2003 one of the 50m stacks collapsed leaving only eight stacks remaining. With the current rate of erosion at approximately 2cm annually, the base of these limestone pillars are threatened. Yet the wave action continues to erode existing cliff faces off the headlands which, it is predicted, will create new limestone stacks in future. However, the Twelve Apostles remain one of Victoria's most iconic natural attractions and are popular with tourists visiting the Great Ocean Road, particularly at sunrise and sunset when they change colours.